Nov 30 – ‘All Together Now’ – Or Not? Well, the markets decided not to run together again, so let's take a look at the recent changes. https://chartfreak.com/wp-content/uploads/sites/18/2017/11/ALL.jpg 583 871 Alex - Chart Freak https://chartfreak.com/wp-content/uploads/sites/6/2013/04/black_logo.png Alex - Chart Freak2017-11-30 10:38:092017-11-30 10:38:09Nov 30 - 'All Together Now' - Or Not? My last public post last week discussed Bitcoin & Blockchain trades. 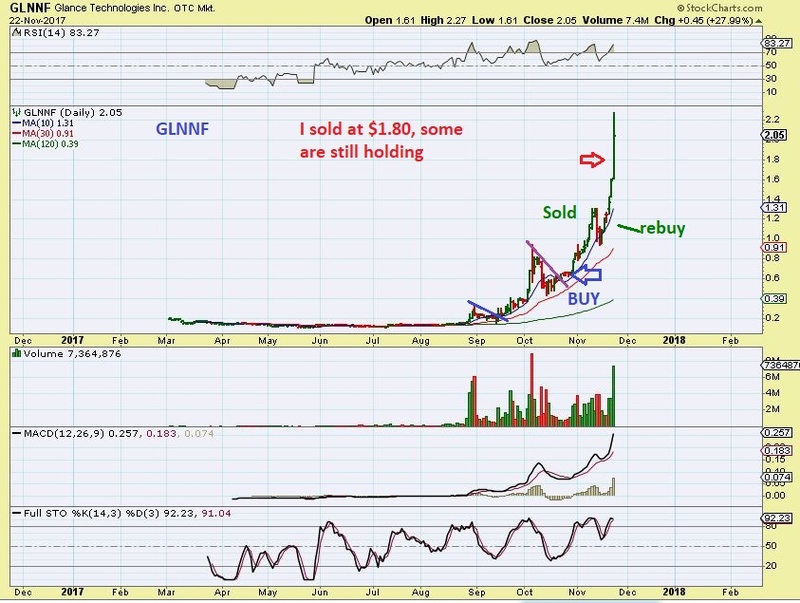 They have been absolutely explosive, some trades running up 300-500% or even more. On Monday (in my premium section) I then went over some of our current trades, and discussed the idea that Bitcoin could go parabolic and then crash down, so caution would be warranted. Does a parabolic move and crash mean the end of Bitcoin? No it doesn't, so before we get into a debate about whether or not BITCOIN is in a bubble, and whether a 'Bubble' phase means that this is the end of Bitcoin or not, please read on and then see how you feel. Bitcoin started tacking on 'hundreds' overnight, surpassing the initial target that I had mentioned, and reaching toward the extended targets that I had. I do believe that this is a parabolic move and it will eventually fall just as rapidly. This chart seems to show that we had that type of fall intraday, if it is an accurate chart. 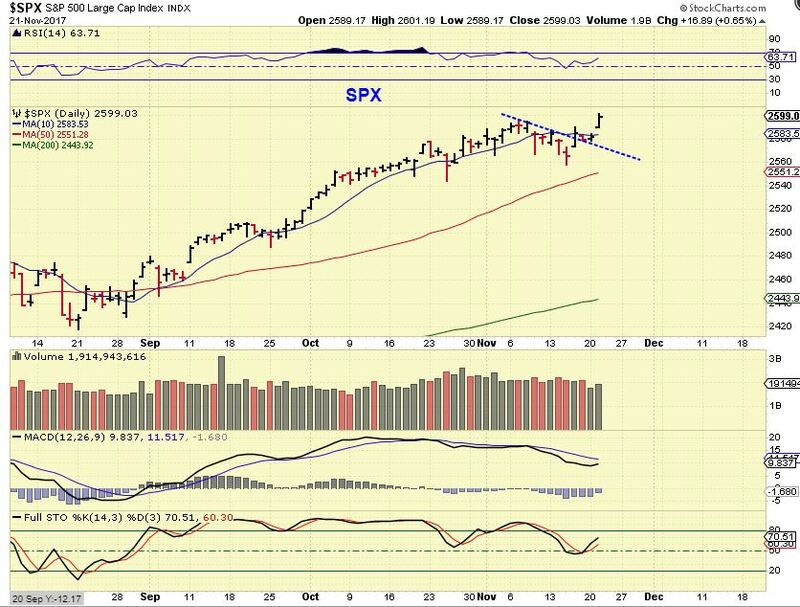 SPX - In the last report I mentioned stay long if you are long, but it may be best to start tightening up trailing stops ( Due to BKX , TRAN, and divergences) and we'd have to see how this plays out. Boom, the long play continues on day 8. Just the facts. 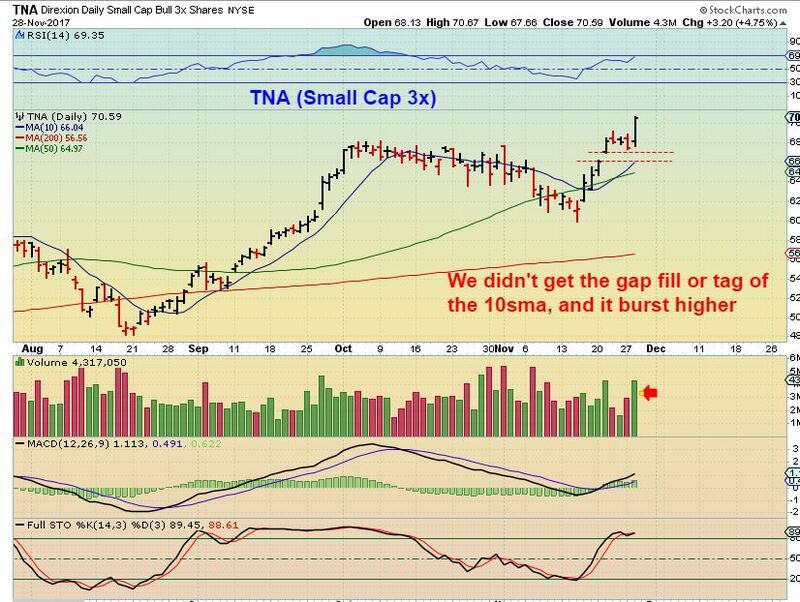 TNA 3X Small Caps - I expected a gap fill and a tag of the 10sma anyway, but it just took off higher. I'd keep a stop under the 50sma & raise it as price rises. Today I want to do a quick review of our markets, since not much has changed, and then I will discuss a few more trade ideas. We have been killing it with Bitcoin or blockchain trades, but another sector deserves our attention too. I have mentioned it in the past couple of weeks, and I still believe that it is also ready to go. Nov 24th – The Blockchain Explosion! NOTE: Please keep in mind that this report was written last week as a premium report, while Bitcoin was between $7000 & $8000. 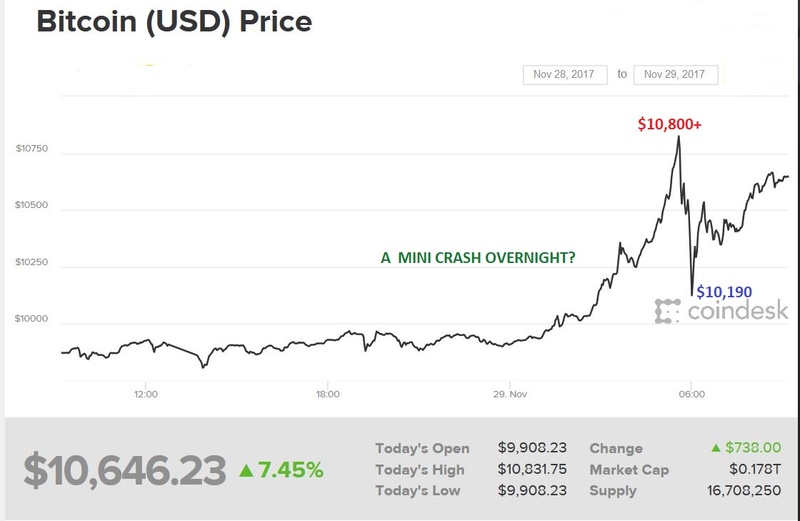 Bitcoin almost hit 10,000 this weekend, and a follow up premium report was posted on Monday. The following report gives you an idea of how we were viewing the blockchain charts. It also briefly discussed OIL, the XLE, Gold & Miners. While waiting patiently for the Gold market to set up properly, we have been trading other areas, and one of those areas recently has been the Blockchain trades. I mentioned that I had been trading these on the side, watching how they play out, seeing if they act as expected, before including them in the reports. Well, they are quite volatile, but I was having success trading them, so I came to the conclusion that they were trade-able and that maybe I should put them in the reports with a small warning about risk last week. So we started trading Blockchain last week. I'm not sure who decided to take these trades with me, and who watched from the sidelines, but I want to review some of these explosive moves (and gains) and point out a couple more set ups that may be ready to follow the leaders. 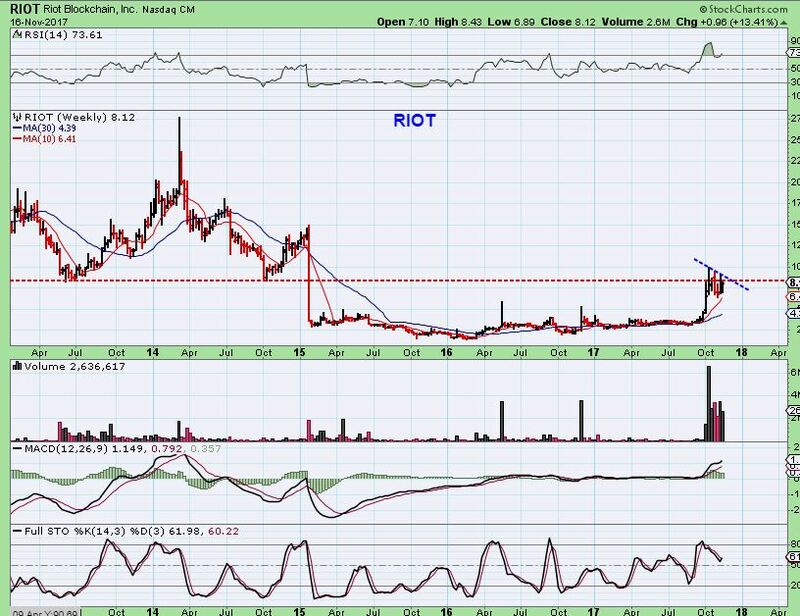 RIOT - This chart to show the bigger picture potential. 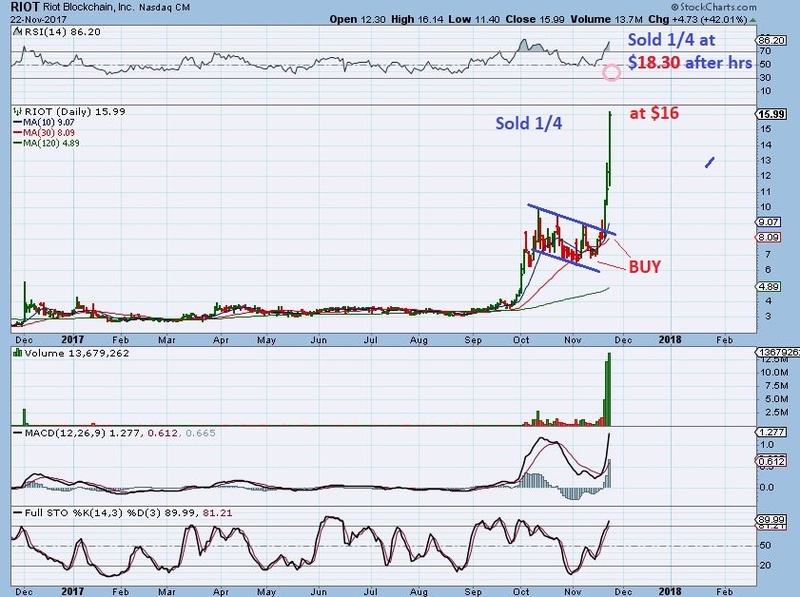 I named a couple of upside targets that sounded kind of ridiculous, like $14 & $16, even in the $20's. 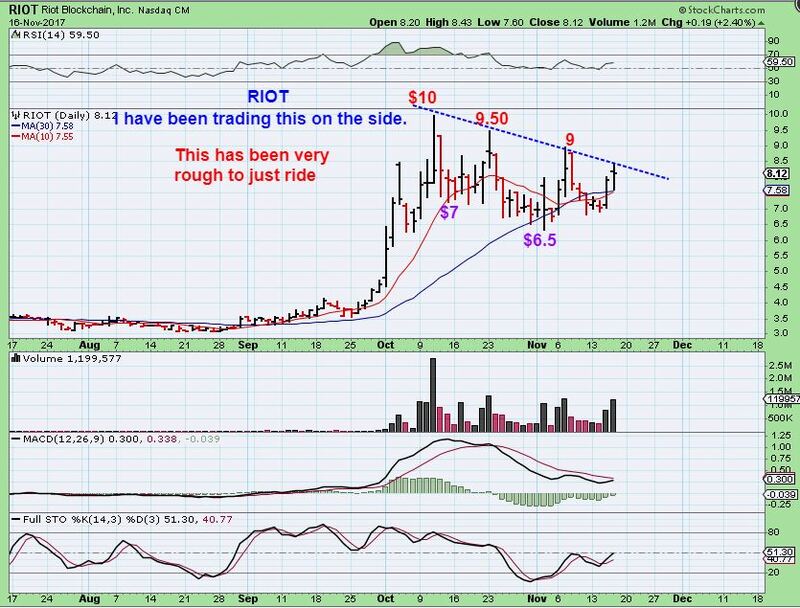 RIOT - I sold 1/4 of my position at $16 & posted that in the comments section. Then it after hrs, it continued to ramp up and was at $18.35, so I placed a sell for 1/4 at $18.30 & it sold immediately. I mentioned this in the comments too, so that others could follow if they wish. https://chartfreak.com/wp-content/uploads/sites/18/2017/11/BLOCKCHAIN.jpg 580 929 Alex - Chart Freak https://chartfreak.com/wp-content/uploads/sites/6/2013/04/black_logo.png Alex - Chart Freak2017-11-27 14:15:492017-11-27 14:18:00Nov 24th - The Blockchain Explosion! Let's discuss a few of our current trades, and please do not just 'skim the charts', you need to read the cautionary notes in print too. 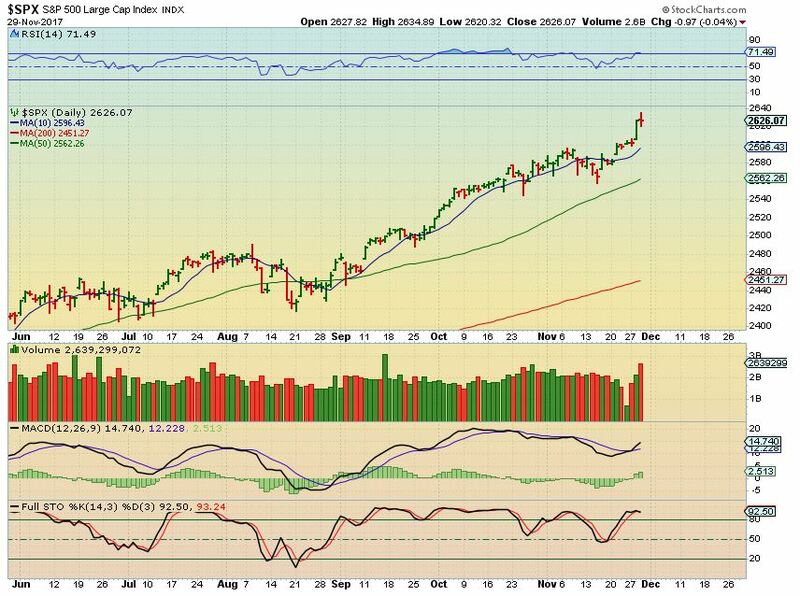 Let's do a market review of the various market sectors and we'll see that things seem to still be playing out as expected. While waiting patiently for the Gold market to set up properly, we have been trading other areas, and one of those areas recently has been the Blockchain trades. I mentioned that I had been trading these on the side, watching how they play out, seeing if they act as expected, before including them in the reports. Well, they are quite volatile, but I was having success trading them, so I came to the conclusion that they were trade-able and that maybe I should put them in the reports with a small warning about risk last week. https://chartfreak.com/wp-content/uploads/sites/18/2017/11/BLOCKCHAIN.jpg 580 929 Alex - Chart Freak https://chartfreak.com/wp-content/uploads/sites/6/2013/04/black_logo.png Alex - Chart Freak2017-11-24 12:01:412017-11-24 12:01:41Nov 24th - The Blockchain Explosion! 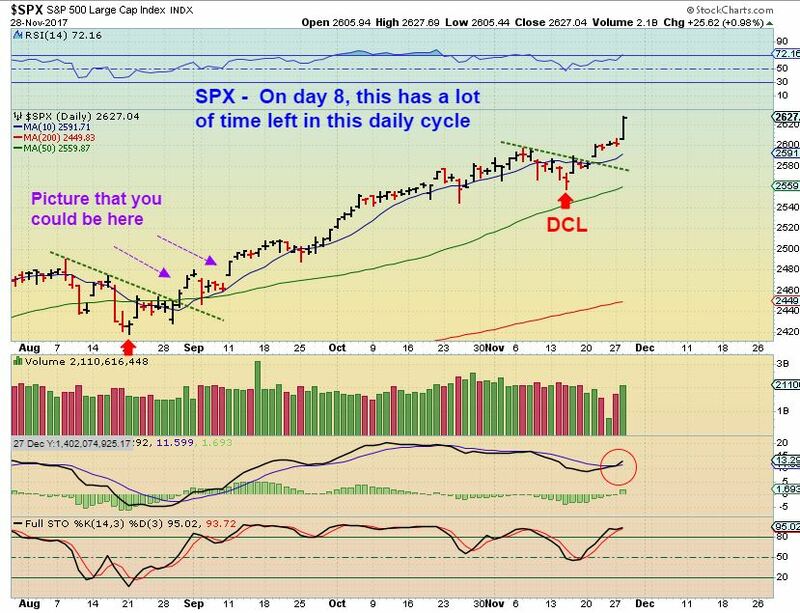 SPX - I would say that this is day 4 of the new daily cycle. Do not stand in the way of this . Each consolidation leads to another leg higher. 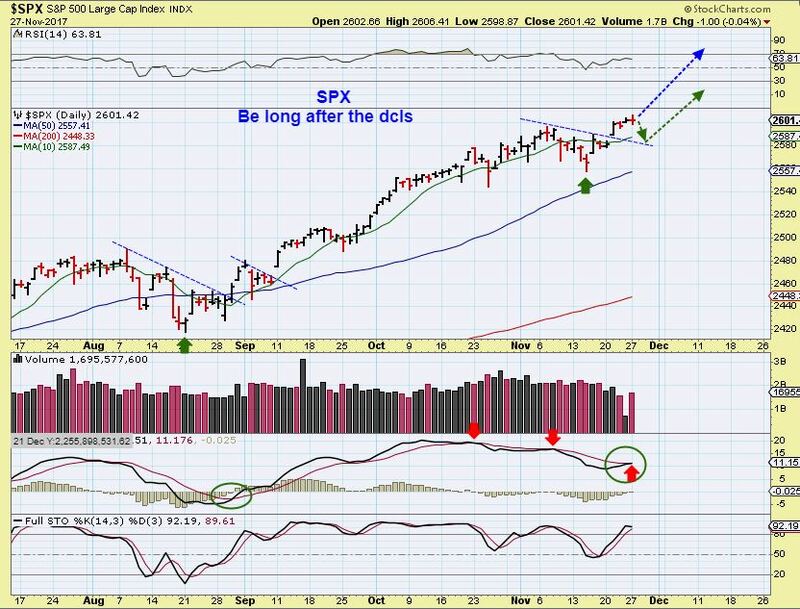 It remains a 'buy the dips' market. In the U.S., Thursday is a Holiday and the markets will be closed, followed by a 1/2 day of trading on Friday. Usually many are traveling to be with family on Wednesday afternoon, so the markets volume & trading lightens up on Wednesday. 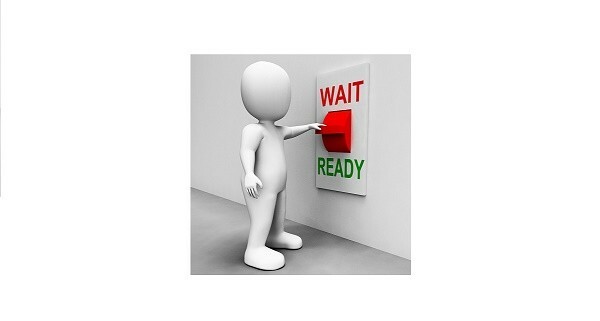 That said, it is a bit hard to know exactly what to expect going forward, especially after Tuesdays trading. For now, lets take a look at Mondays trading, and review a couple of the 'Changes' that we discussed in the weekend report.